For over three decades, the great inventor and futurist Ray Kurzweil has been one of the most respected and provocative advocates of the role of technology in our future. In his classic The Age of Spiritual Machines, he argued that computers would soon rival the full range of human intelligence at its best. 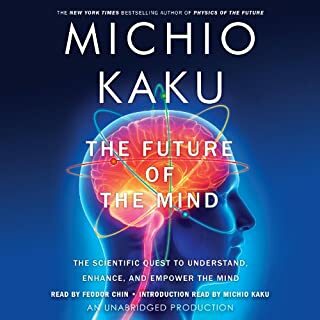 Now he examines the next step in this inexorable evolutionary process: the union of human and machine, in which the knowledge and skills embedded in our brains will be combined with the vastly greater capacity, speed, and knowledge-sharing ability of our creations. That merging is the essence of the Singularity, an era in which our intelligence will become increasingly nonbiological and trillions of times more powerful than it is today - the dawning of a new civilization that will enable us to transcend our biological limitations and amplify our creativity. In this new world, there will be no clear distinction between human and machine, real reality and virtual reality. 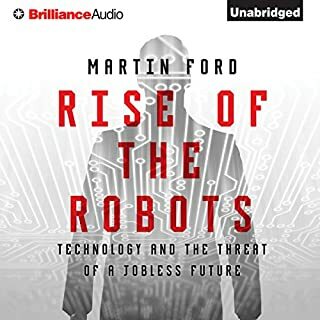 While the social and philosophical ramifications of these changes will be profound, and the threats they pose considerable, The Singularity Is Near maintains a radically optimistic view of the future course of human development. 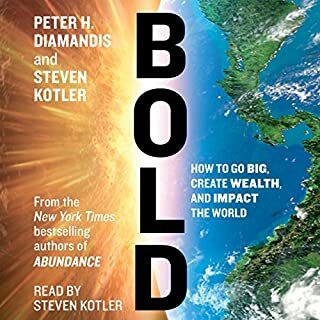 As such, it offers a view of the coming age that is both a dramatic culmination of centuries of technological ingenuity and a genuinely inspiring vision of our ultimate destiny. I know not everyone will love the book, but I did and I know some others will too. 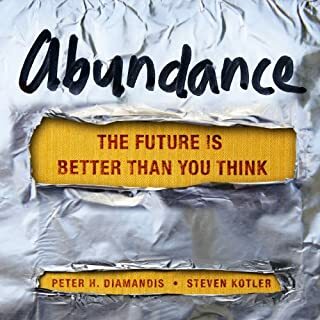 Usually I don't like predictions about the future since the future is so hard to see accurately but I think Kurzweil does such an outstanding job. 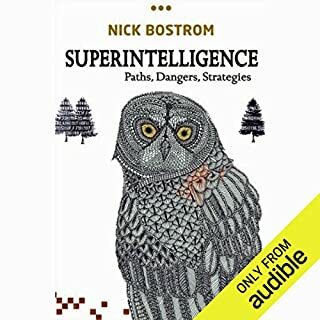 If statements like the universe will become self aware one day after man biologically merges with our thinking machines bother you, you probably shouldn't bother with this book, but if such statements excite you the book could be worth your trouble. 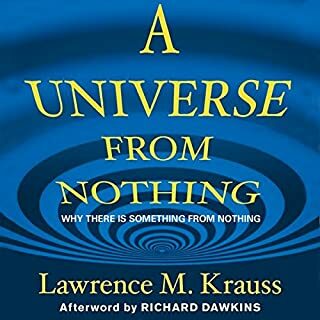 There seems to be two types of people reading and rating this book, the true believers and the skeptics, but very little has been said on the overal enjoyment of the book. First this is a great concept, the idea that through the law of accelerating returns we are getting closer to a singularity, or a massive explosion in technological advancement that will literally combine humans and technology is truly amazing, and if your a tech buff that grew up dreaming of a holodeck this idea is right up your ally. Unfortunately the right person came up with the idea and the wrong person wrote about it. I think Ray is a fascinating human being and true genius, his career speaks for itself and his intelligent and quirky approach to life and health is a book in itself, but I found the book boring. Actually beyond boring because I am only a third of the way through and had to force myself to this point. 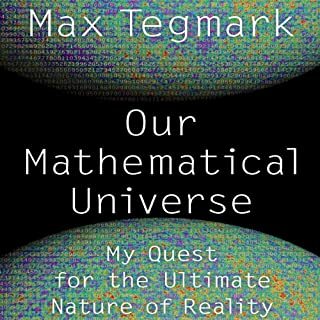 I wanted to wait and finish before writing a review, but the umpteenth time he through out some computation or algorithmic equation I lost him, he's a scientist and I get it, but the read is a slow boring walk through mathematics which tries to prove ideas that are fascinating with literal repeated boring facts. 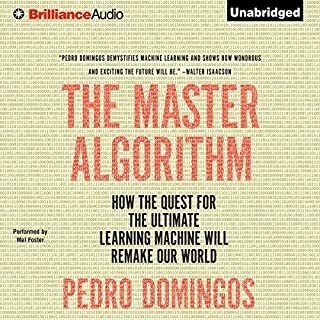 I get it, if you tell me the rate on return of technology is increasing and technology is building on itself to make itself smarter I understand, to then go into equation after equation explaining why is just boring, save it for the Scientific American. It's if Ray wanted to prove to his skeptics on his ideas and wrote a Scientific Paper that he later edited for the layman for mass production. I will still read everything about Ray Kurzweil, I just don't know if I am going to read anything from Ray Kurzweil. Great guy, Great Idea, Boring Book. Listening to this book brought back memories of 5-6th grade reel-to-reel science/biology films; you know the ones that were impossible to stay awake through even if you were interested in the subject.The Narrators voice is extremely monotone and the book is written in almost a textbook manner.The Ideas and information are very interesting, but it's the worst audio book I have ever listened to. My Gawd The Narrator is Awful! What would have made The Singularity Is Near better? Kurzweil repeatedly flogs the same minor points over and over about how powerful PCs will be in just a few years. I get that they will be 10 to the umpteenth times as powerful as the human brain. I don't need to hear it for what seems like to be every other paragraph in the book. It was nice to see some hard numbers on the subject (though it would have been better to then moved on from those numbers, rather than constantly revisiting them). Who would you have cast as narrator instead of George K. Wilson? Frankly, anyone could have done a better job than Mr. Wilson. 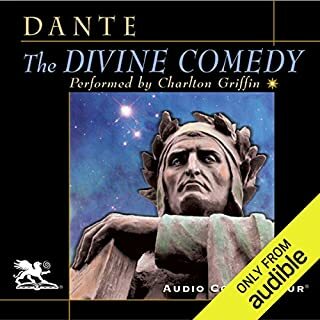 He has a weird intonation to his voice as he reads the book, which is reminiscent of William Shatner at his worst, played at a very slow speed. I found that playing it at twice normal speed helped things immensely. If you could play editor, what scene or scenes would you have cut from The Singularity Is Near? 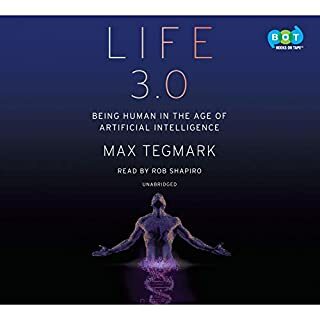 Each chapter begins with a future version of Kurzweil discussing with other supposed future individuals what life was like after the singularity occurs (in 2045). This reads more like a Mary Sue piece than anything else and does more harm than good to the work. Spoiler alert! The future Kurzweil projects for humanity is that sometime between 2045 and 2100 we all turn into a cross between the Borg, a T1000 Terminator (minus the desire to kill all humans), and V'Ger from Star Trek: The Motion Picture. Kurzweil sees this as a positive, even though such a scenario involves government mandated brain scans (to make sure we're not developing WMDs, and Kurzweil assures us that the government will never ever abuse this power in the way Nixon did). 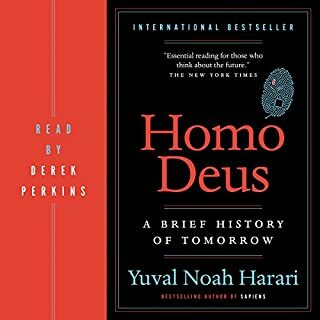 Frankly, while I like the idea of near immortality, and many of the technological advances which seem likely, I think that if what Kurzweil projects comes to pass, the future will be incredibly bleak. I have found the theories to be brilliant although I did not fully understand all of the support material. Well worth the effort for someone who wants to think "outside the box". I love almost everything about it. 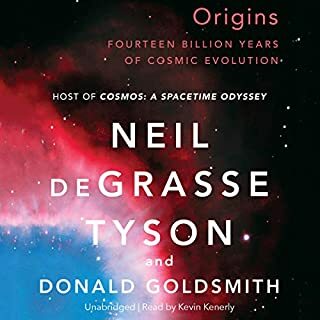 I've been waiting for an audio version of this book for years, and I was already a fan of the work itself. I'm just wondering why Stephen Hawking wasn't credited for doing the voice work. The most redundant book ever. Belongs in the redundancy department of redundancy. Got an hour in and he said the same thing at least 4 times. It was so bad I thought I was listening to a chapter twice. The topic was what interested me but i could not get past the repetition. Amazing read -- narration just fine! Don't miss out on this book. It should start out with "Y'all ain't gonna believe this s _ _ _!" What a wild and jaw-dropping read! Ray Kurzwell is a real visionary, and the array of subject matter contained in this book is awesome. I can hardly believe his ideas about the future of mankind and artifical intelligence. Though my back aches and my arthritis is killing me, Kurzwell makes me want to live another seventy-one years just to see if what he says turns out to be true. 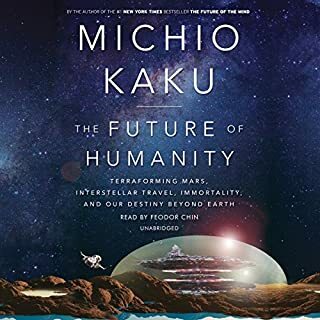 i can only hope that his vision of the future becomes reality so that my great-grandchildren can witness and benefit from the fantastic future outlined in his book. 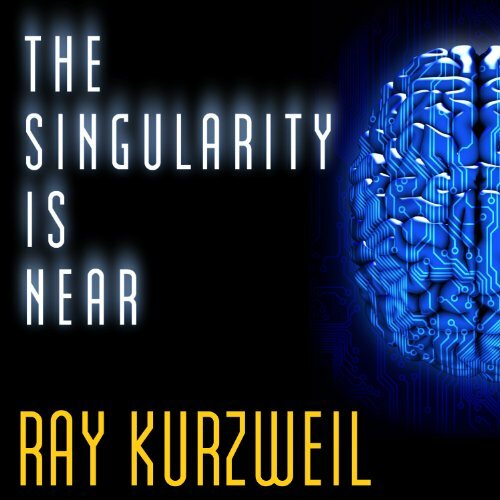 Kurzwell's views on robotics and artificial intelligence, cloning, reverse-engineering the human brain (? ), nanotechnology, world hunger, immortality, conquest of the Universe, treating diabetes successfully (to mention just a few topics) are logically presented, and carefully explained in layman's terms. I have listened to this book several (like seven or eight) times and it has not lost my interest yet. I love the book. 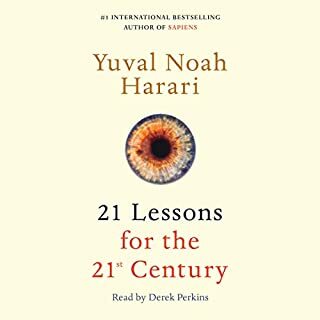 I agree with the reviewer who states that it is a great introduction to the 21st century and the vast changes that are iminently possible for mankind. Wow. The narrator is exactly as he should be. He speaks slowly enough for me to digest the material. His tone is pleasant, and he speaks as if he knows the material well. I am a stickler for narration. it's something that I often comment on, and frankly I was surprised that so many other reviewers panned his performance. This could be one of the most important books to be written in the first 10 years of the 21st millennium. It does get technical at times, however, the main points are SO important that it's not vital that one understand all the technical info. These theories give our race (the human race) new hope in many areas that I personally felt hopeless about before hearing the opinions and theories of Dr. Kurzweil. He may not be right about everything, but his track record has been excellent. This is not a "quack." They don't put quacks on the cover of 'TIME'! GET THIS ONE! 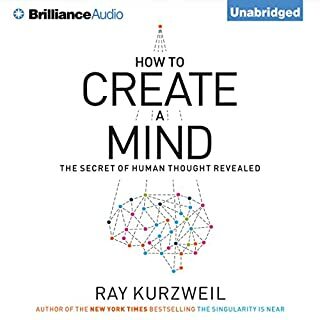 In a period of ever accelerating technological and cultural change, Ray Kurzweil provides a schematic structure that articulates the ideas that so many have intuitively sensed about the epochal impact of technology on the development of human knowledge and humanity itself. 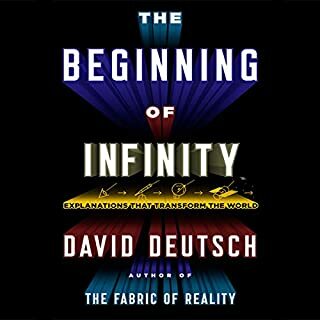 With almost mystical fervor, Kurzweil sets forth a vision of the future in which technology and humanity merge and the bounds of human knowledge explode as humanity is unbound from the limits of very slow biological information processing. The result will be a rise of intelligent machines which retain elements of humanity, and of humans who have enhanced and extended their abilities by taking advantage of technological augmentation of their minds. The scope of Kurzweil's vision is breathtaking - be sure to go to Tantor's publisher site to download and view the figures and illustrations mentioned in the text. The content of the book is breathtaking, and looks into an infinite future. The narration is the polar opposite of the content. George K. Wilson's stilted style is almost ironically ill-suited to such a forward looking book. Imagine the work of a futurist as it might have been heard on a World War II-era radio. Wilson seems to be trying for the authoritative pronouncment of a Cronkite or a Murrow. Wilson's style of narration is wholly unsuited to the audiobook format generally and does particular violence to this book. Tantor Audio, what were you thinking? 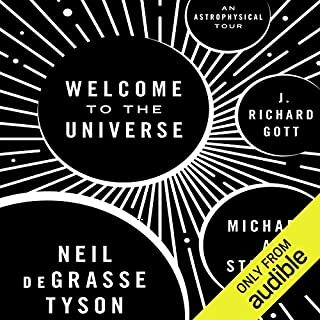 The book content gets five stars, but the narration is so bad that this audiobook is almost unendurable.